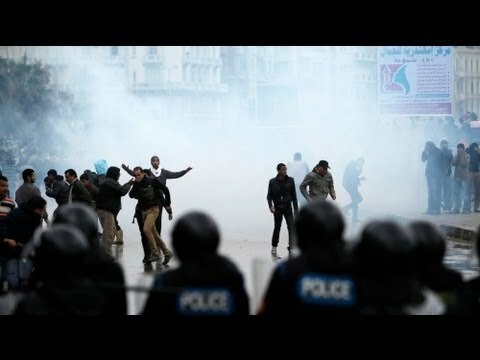 tension still simmers in the country’s second-largest city, Alexandria, where street clashes left 77 wounded on Friday. The clashes again show the unwisdom of the way President Muhammad Morsi, who hails from the Muslim Brotherhood, rushed the drafting of the constitution and rushed the referendum on it. Because the unrepresentative constituent assembly that drafted the constitution was dominated by Salafis and Brotherhood supporters, and because no consensus had been reached on the most controversial articles, Morsi’s hasty and high-handed decisions have deeply divided the country, producing a series of street battles between the Brotherhood and less fundamentalist youth. At one such clash in front of the presidential palace, Muslim Brotherhood cadres physically attacked left-liberal youth, raising fears of an Iran-style Basij or popular religious militia. The disputed constitution will likely pass; it got 56% of the vote in the first round. But turnout in the referendum is very light because many voters are boycotting the process. Among those who are voting, the constitution appears likely just to squeak by. Given the undemocratic way that some of the articles were quickly inserted into the document, and the lackluster results, the legitimacy of the document is being questioned by many. The fighting yesterday in Alexandria broke out after Friday prayers near the Qaed Ibrahim mosque, which is headed by Sheikh Ahmad Mahallawi. The latter criticized a secular former presidential candidate [Muhammad Elbaradei] for complaining about mosques being used for political purposes, insisting that mosques are not only for praying. Muslim fundamentalists, especially the Gama’a al-Islamiya (which in the 1990s were Egypt’s most violent group) had announced a rally in support of Muslim clerics and religious scholars, which in turn was intended to aid the press for the new constitution. The latter has about 25 disputed articles that could allow Muslim religious authorities to interfere in peoples’ private lives and to subordinate secular law and administration to Muslim canon law as understood by Muslim clerics. Mahallawi was trapped in his mosque Friday a week ago by angry anti-Morsi demonstrators who had been attacked by hard line Salafi fundamentalists. They accused him of harboring them in the mosque. A secular television anchor in Egypt recently played a clip of a Salafi fundamentalist preacher dismissing Muslim liberals as “hypocrites” (i.e. actually infidels). He replied to complaints that leftists and liberals have no respect for Muslim clerics and scholars. The anchor said, look, you don’t consider us Muslims, and we repay the favor by not considering your clerics to be scholars. Tension was also heightened on Thursday and Friday when the Supreme Guide of the Muslim Brotherhood, Muhammad Badie, appeared to criticize the Egyptian army as corrupt in his weekly address. The officer corps was fuming in response, and Badie had to back down and issue statement saying that his enemies had deliberately twisted his words.